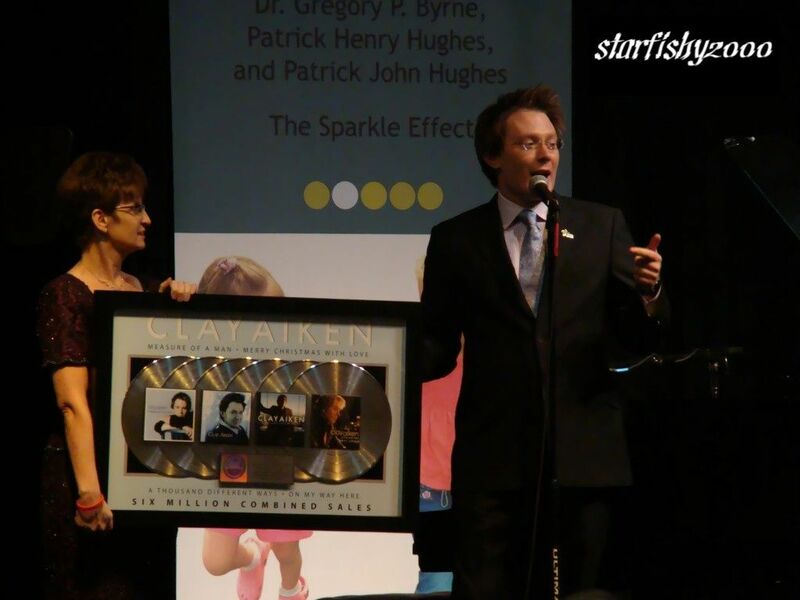 Each day there seems to be new articles that mention Clay Aiken. Some are excellent, informative articles that report about what he has been doing or, perhaps, what is in his future plans. Then there are the rumor sites that take one sentence and take it out of context and use it as a headline. An example of the latter is the over 100 sites on google that are claiming that Clay wants to replace Simon Cowell on American Idol. It really is crazy, but I guess it means that his name still equals hits!! Since 1907, United Press International (UPI) has been a leading provider of critical information to media outlets, businesses, governments and researchers worldwide. UPI is a global operation with offices in Beirut, Hong Kong, London, Santiago, Seoul and Tokyo. Our headquarters is located in downtown Washington, DC, surrounded by major international policy-making governmental and non-governmental organizations. Over 2.8 million unique visitors visit our web site every month and the number is rising. In December of 2008 alone, UPI.com received 6.5 million page views. Each day UPI publishes its content directly to UPI.com, reaching an online audience that is constantly growing. On Tuesday, Jun 29th, UPI posted the following article about co-hosts on The View. The show’s regular hosts are Barbara Walters, Whoopi Goldberg, Joy Behar, Elisabeth Hasselbeck and Sherri Shepherd. Numerous celebrities, including actor Ferguson, reality TV personality Gosselin and singer Aiken, have agreed to fill in for the regular hosts as they take days off in June and July, Bill Geddie, the show’s executive producer, said. Also to appear as guest co-hosts are actresses Valerie Bertinelli, Yvette Nicole Brown and Rachael Harris; Jamyce Lee, winner of the “Good Morning America” Living the Dream contest and a 27-year-old mother of three; TV personality Bryant Gumbel; political commentator/talk show host Laura Ingraham; chef Marcella Valladolid; and TV/radio personality Jacque Reid. Robert W. McDowell is a writer for The Triangle Arts and Entertainment site. According to their site, it is A News Magazine Devoted To Visual and Performing Arts. On Tuesday, McDowell wrote a nice review of the Bringing Broadway Home concert that was held in Raleigh on June 21st. Last Monday night, the North Carolina Theatre, whose gala home-grown productions of big Broadway musicals compare favorably with many of the bus-and-truck tours that play the Triangle, staged BRINGING BROADWAY HOME: CELEBRATING 27 SEASONS OF BROADWAY, a spectacular benefit concert last Monday night, featuring effervescent performances by NCT alumni Clay Aiken, Lauren Kennedy, Sharon Lawrence, Terrence Mann, and Quiana Parler and a splendid orchestra led by frequent NCT musical director and conductor Edward G. Robinson. Mann created the roles of the irrepressible Rum Tum Tugger and the implacable Inspector Javert in the American versions of CATS and LES MISÉRABLES, respectively, as well as starred as the Beast in the original Broadway production of DISNEY’S BEAUTY AND THE BEAST; and Parler is a superlative African-American actress and singer who gave a career-making performance as troubled diva Effie Melody White in the 2008 North Carolina Theatre production of DREAMGIRLS. Hometown favorite Clay Aiken opened the show with a rousing rendition of “Home” from THE WIZ, then delighted his legion of local fans with two saucy selections from his new album “Tried and True,” released June 1st on Decca: “Mack the Knife” from THREE PENNY OPERA and “What Kind of Fool Am I?” from STOP THE WORLD I WANT TO GET OFF. Aiken also added crowd-pleasing performances of “This Is the Moment” from JEKYLL & HYDE and “Those Magic Changes” from GREASE, and sang dynamic duets of “Last Night of the World” from MISS SAIGON with Quiana Parler and “In Whatever Time We Have” from CHILDREN OF EDEN with Lauren Kennedy. Another highlight of the evening was the delightful reprise of “What Do the Simple Folk Do?” from CAMELOT by Terrence Mann and Sharon Lawrence, who played Arthur and Guenevere in NCT’s very first production in May 1984. Mann also reprised his role as Inspector Javert with brio as he sang “Stars” from LES MISÉRABLES, and his vibrant version of “Where’s the Girl?” from THE SCARLET PIMPERNEL also earned applause. From the moment she sashayed onstage to sing “Popular” from WICKED, wearing a rhinestone tiara and a purple boa over her little black sequined and fringed dress, with a white sash emblazoned with “Raleigh’s Own” printed on it tied diagonally across her chest, Raleigh’s own Lauren Kennedy OWNED the Raleigh Memorial Auditorium audience lock, stock, and barrel. Her perky performance continued with vivacious versions of Jason Robert Brown’s sassy “I Can Do Better Than That” from THE LAST 5 YEARS, Fantine’s (and Susan Boyle’s) showstopper “I Dreamed a Dream” from LES MISÉRABLES, the wistful “Send in the Clowns” from A LITTLE NIGHT MUSIC, and “Hold On” from THE SECRET GARDEN. Sharon Lawrence served as an informal mistress of ceremonies and contributed a charming version of “Shy” from ONCE UPON A MATTRESS, and Quiana Parler’s solo on “What I Did for Love” from A CHORUS LINE sparkled. But even if Clay Aiken was the evening’s most flamboyant showman, his erstwhile singing partner Quiana Parler one-upped Aiken and the rest of this stellar cast with her simply fab-u-lous rendition of “(And I Am Telling You) I’m Not Going” from DREAMGIRLS. After that next-to-last number, the company’s grand finale of “Imagine” by ex-Beatle John Lennon seemed anti-climactic. All in all, BRINGING BROADWAY HOME was a bracing program of music and reminiscences in which backstage tales were told and North Carolina Theatre founder and head honcho De Ann Jones and her son and successor, Wally Jones, were given their due. NCT is a shining jewel in this state’s cultural crown and, for one magical evening, a fabulous quintet of NCT alumni, emphatically demonstrated how excellent this critically acclaimed regional theater is as a springboard to show business fame and fortune. 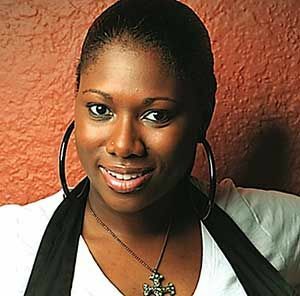 The article includes nice pictures of Lauren Kennedy, Quiana Parler and a picture of Clay’s CD, On My Way Here. Universal Music Singapore Gooood morning Singapore! First update of the day: To Clay Aiken’s fans. Tried and True will be available at all record store this coming July. Visit us more to find out the exact date. It looks like the International Promo for Tried & True is starting. Of course, sales outside the United States do not show on the Billboard sales charts, but they do count towards total album sales statistics. RIAA recently awarded Clay a sales plaque for 6 million sales internationally. Today is the last day of the month. 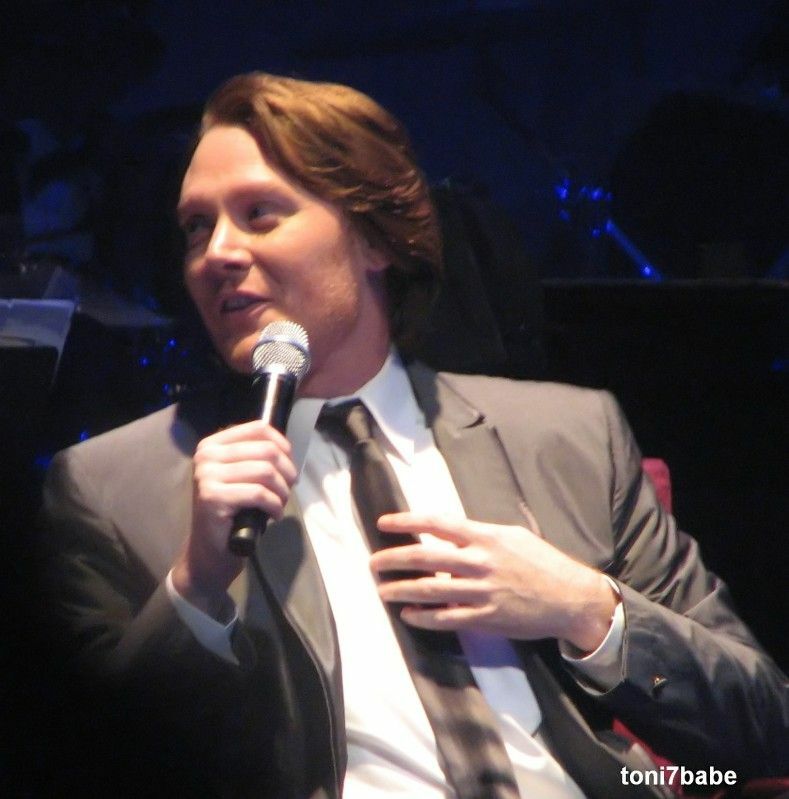 We can only hope that the buzz around Clay Aiken continues in July. Are you ready? Error: Error validating access token: Session has expired on Tuesday, 21-Aug-18 16:13:01 PDT. The current time is Sunday, 21-Apr-19 22:38:30 PDT.